For the summer campaign of TV Channel 24Kitchen we delivered two Revival Trailers and a food truck. The trailers and truck were used during the third season of the 24Kitchen Food Truck Challenge, in which during the weekly broadcast three teams battled each other to prepare the best dishes. 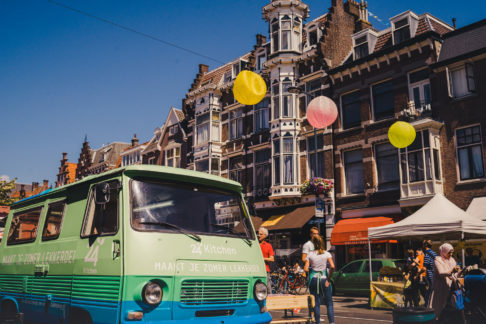 After the shooting, which took place every week on another summer festival, the food truck toured through The Netherlands for the rest of the summer with tasty ice creams and a mini magazine.